Photos: Co. Cork, SW Ireland. Very variable. 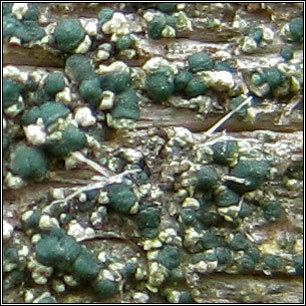 Thallus immersed or of small, grey or greenish-grey, convex or sub-globose granules. 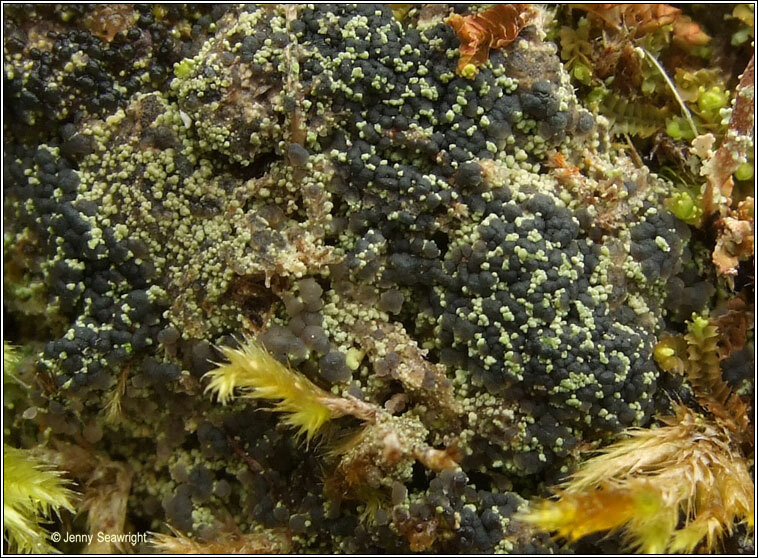 Apothecia variable, white, blue-grey or black. 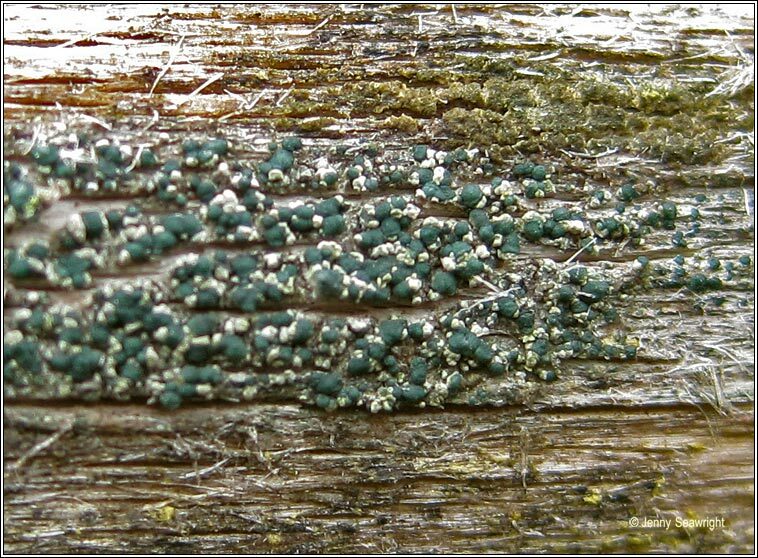 When on wood or bark pycnidia can be frequent. 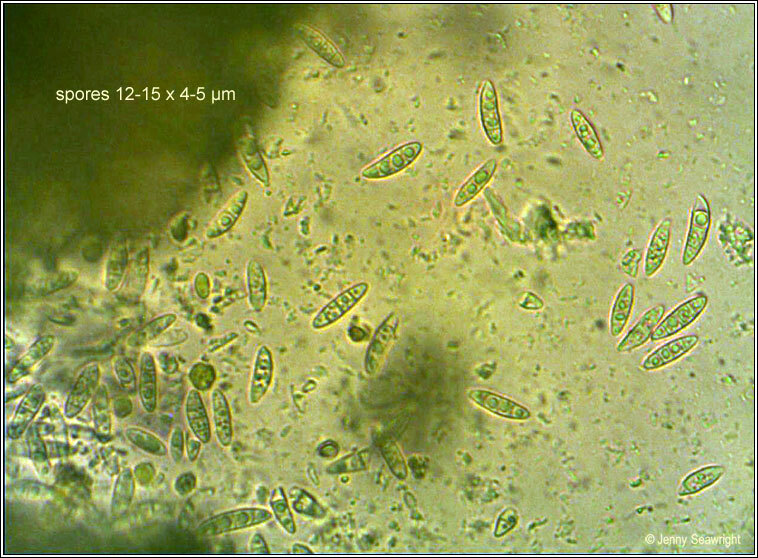 Spores (1-)3(-5 septate, (11-)15-23 x 3-5(-6) µm. 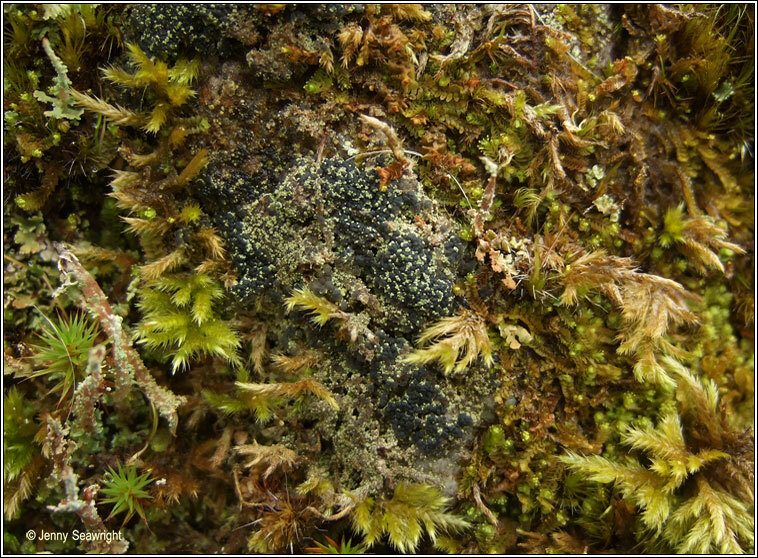 Found on acidic substrates, rocks, bark and heather stems. Usually occurs in upland areas, to 500m.